There was a time when RIM was one of the dominant players in the smartphone segment. RIM’s BlackBerry was synonyms to style and class. But with emergence of several other players in the smartphone arena, RIM slowly began to lose its market share. In a bid to resurrect its market share, RIM came up with its Bold series of phones. With the Bold series, RIM looks forward to get back it market share which have been eaten by Android phones. 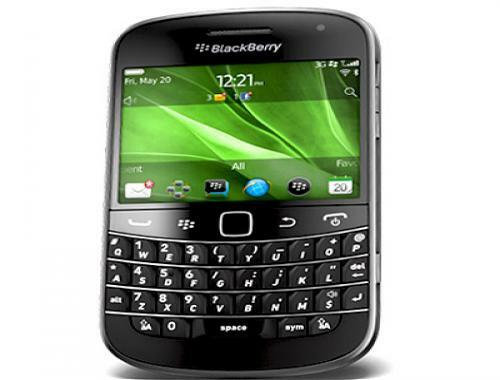 BlackBerry Bold 9900 is one such phone with which its powerful specs and features looks forward to widen the user base of RIM. Check out our exclusive BlackBerry 9900 review to know more about the phone. When you first look at the new BlackBerry Bold 9900, you will find that the design of the phone is very much similar to the previous Bold series of phones. The phone is larger than the previous 9700. Bold 9900’s dimensions of 115 x 66 x 10.5mm make it one of the slimmest handset which makes it extremely pocket friendly. The phone is also very light weighing just 4.6 ounces. A brushed metal band gives the phone elegance as well as strength. The black soft finish at the back of the phone makes it extremely comfortable to grip. When you grip the phone, “Premium” is the word which comes to your mind. Overall we were quite impressed by the looks and design of the phone. The phone is equipped with a 2.8 inches screen which is capable of displaying colors of resolution measuring 640×480 pixels. The pixel density is very high which makes the menu and images look sharp and clear. The wide viewing angles ensured that colors are not washed out which makes watching Youtube videos and surfing internet on the phone a delight. However, because of the small size of the display, it becomes a bit difficult to read website content. It also made the videos look cramped. The screen however, is pretty responsive and responded to our touches very well. We were able to open applications with ease and zooming is also very easy. On the left side of the screen, you will find the micro-USB and audio jack ports. On the right hand side you will find the volume and the camera buttons. Below the screen you will find a couple of charging contacts. Though the screen cannot be termed as one of the best, yet the touch screen of Bold 9900 gets the work done. Keyboard of BlackBerry Bold 9900 is one of its major features. The keys are pretty large and typing on them is a delight. They provide excellent tactical feedback. 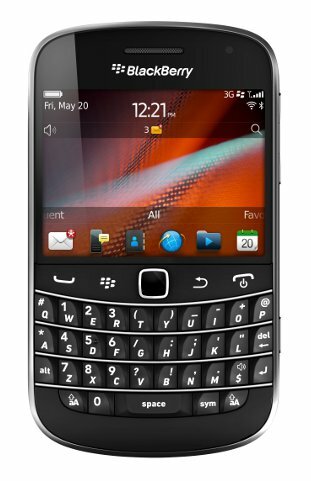 Each of the keys is slightly curved to provide a better grip and you can easily type and send mails on Bold 9900. The keyboard is quite spacious and has a nice layout. We felt that this keyboard is much better than virtual keyboard found in most of the smartphones in the market. Let us start with the software of BlackBerry Bold 9900. The phone runs on BlackBerry 7 OS which is very much same as that of BlackBerry 6. There are multiple home screens and operations in the device are powered by 1.2GHz QC 8655 processor. Memory of Bold 9900 is also robust. The internal memory offers storage of 8GB. The memory can be increased to 32GB with the microSD card. For complete specifications of BlackBerry Bold 9900, click here. E-mailing is very easy on Bold 9900. You can set up 10 mail accounts and there are three IMs on board namely Google Talk, Yahoo Messenger and Windows Live Messenger. One also gets the latest BlackBerry Messenger on board. 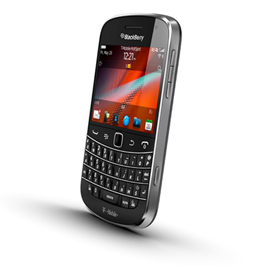 Bold 9900 is equipped with a 5MP camera which is capable of clicking pictures of resolution of 2592×1944 pixels. The camera is equipped with advanced features such as LED flash, geo-tagging, face detection and image stabilization. The images captured are decent and provides good amount of details. The phone lacks secondary camera. The phone is capable of recording 720p videos. The video captured produces good amount of details and the microphone captures good amount of noise. Connectivity is seamless with Bold 9900. The phone provides support for both 2G as well as 3G network. There is also support for GPRS, EGDE, Bluetooth 2.1, Wi-Fi 802.11 b/g/n. Micro USB2.0 and 3.5mm audio jack completes connectivity tally of the phone. Though RIM claims to have designed the Bold’s browser for faster web surfing, we found that the browser does not really live up to the expectations. One of the major drawbacks of the browser is that it does not support Flash, so when you surf heavy sites, the performance of the browser drops big time. We were also disappointed to find that the phone does not support FM radio. The video and the music player however is capable of playing videos of various formats. You can also listen to music through the speaker of the handset which provides a great deal of volume. Battery life of most of the bold handsets has been great and Bold 9900 is no different. The 1230mAh battery provided a talk time of around 6 hours which is very decent. Even after heavy usage the battery provides decent talk time. Price In the USA, there are two carriers of BlackBerry Bold 9900 namely T-Mobile and Verizon. If you purchase BlackBerry Bold 9900 on T-Mobile, then it will cost you $ 299 for a two year contract. On the other hand if you purchase the phone on Verizon, then it will cost you $ 249 for a two year contract. BlackBerry Bold 9900 is a pretty solid smartphone which gives you decent performance. The nice design of the phone along with solid specs made the phone a decent purchase. However, the phone faces competition from BlackBerry Torch and Apple iPhone which boasts of very similar specs and features as Bold 9900.